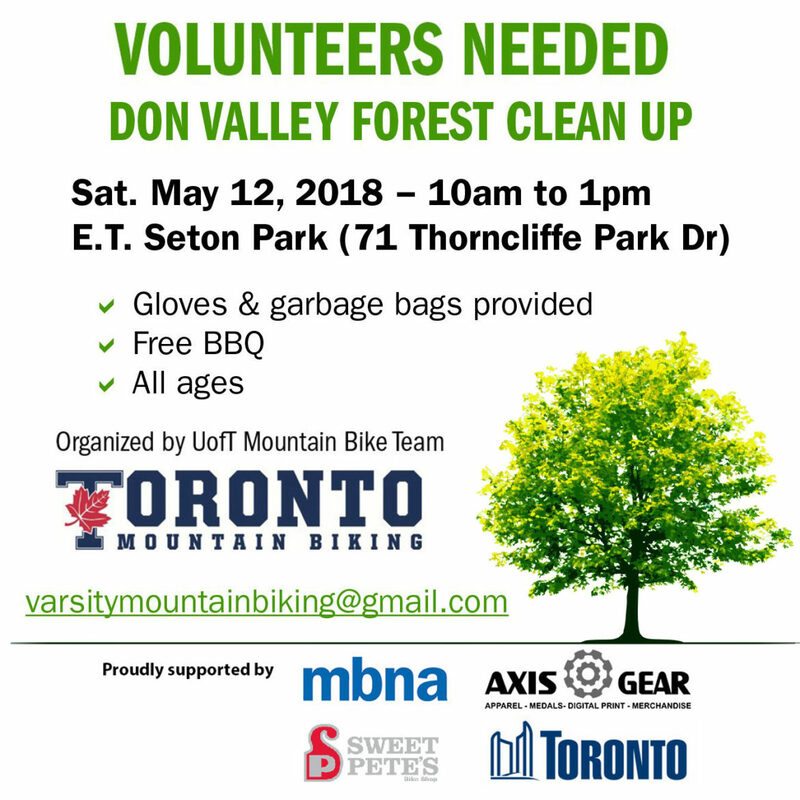 This Saturday, Parks Toronto along with the U of T Mountain Biking Club are hosting a clean up of our beloved Don trails. The trilliums are blooming, there are flowers everywhere. So much beauty half hidden by mounds of trash. Please give back at least an hour to the trails we love. We will have the Don’t Mess with the Don group there who are fighting to solve this issue once and for all. Saturday, 10 to 1 pm at Thorncliffe, everything’s provided except you.